Shares of public sector banks (PSBs) rallied up to 10 per cent on the bourses in intra-day trade after Finance Minister Arun Jaitley on Thursday assured government funding support to state-owned banks. 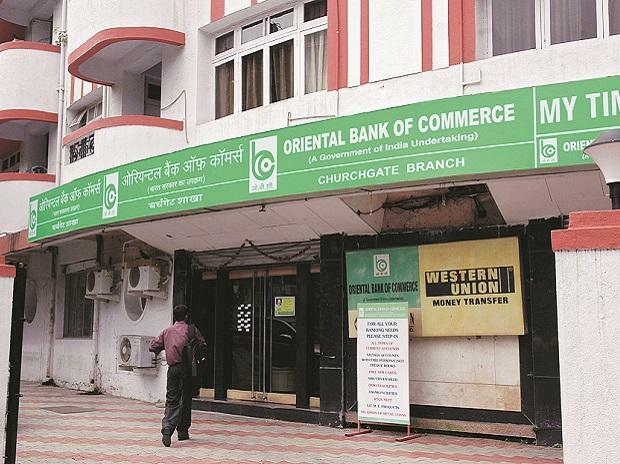 Oriental Bank of Commerce and Union Bank of India soared 10 per cent each at Rs 91.95 and Rs 78.35, respectively, in intra-day trade. State Bank of India (SBI), Syndicate Bank, Bank of India, Punjab National Bank, Bank of Baroda, Vijaya Bank, Dena Bank, Allahabad Bank, Canara Bank, IDBI Bank and Indian Bank were up in the range of 1 per cent to 6 per cent. At 02:21 pm, Nifty PSU Bank index, the largest gainer among sectoral indices, was up 2.4 per cent, as compared to 0.48 per cent rise in the benchmark Nifty 50 index. Nifty Bank and Nifty Private Bank indices were up 1 per cent each. The finance minister expressed hope that the six lenders, which remain under the RBI's prompt corrective action (PCA) framework will soon come out of it. The Insolvency and Bankruptcy Code (IBC) has been a success story and the government has maintained arm’s length distance from the process being forward, Jaitley said. He said the non-performing assets (NPAs) situation of PSU banks has improved in the last 2-3 quarters. In the first nine months of the current fiscal, the amount recovered by state-owned banks stood at Rs 98,493 crore, a 100 per cent growth over the previous year. Since 2014-15, PSU banks have recovered Rs 2.87 trillion bad loans up till December 2018, a PTI report said.